Deutsche Börse Photography Foundation rewards the most significant contribution made to photography in Europe over the last 12 months, offering a generous sum of prize money worth £30,000. Reaching its 22nd edition, the award has unveiled its shortlist with those who have found new ways to engage with the world around them, experimenting with innovative techniques whilst addressing the past as a means to illuminate the present. This year’s four nominees include Laia Abril, Susan Meiselas, Arwed Messmer and Mark Ruwedel, artists whose portfolios tackle longstanding social injustices and human rights issues. Anna Dannemann, Curator, sheds some light on this year’s show. A: This year’s nominees survey global issues through the language of photography. Why do you think this is such an accessible medium in today’s age, and what does it mean to be presenting the human condition from behind the lens? AD: Photography,as a tool to communicate personal as well as shared truths, plays a critical role in contemporary culture to reflect, represent, archive, contextualise and showcase the complexity of the current moment. All four nominated photographers are investigating specific socio-political conflicts like abortion rights (Abril) or the scattered Kurdish community (Meiselas), often choosing to represent these global issues through a more individual lens. This personal approach is obvious in the images showing protagonists, but it is also in every work as a representation of how the photographer, who carefully composes, selects and edits – Ruwedel has spent many years documenting the landscape in the USA and is uniquely present in each picture. Even if the artist doesn’t take the images them self – Messmer, for example, finds and edits images from the Federal and Police Archives in Germany – he is the one that collects and combines materials. His or her intention is driving the project and we, as the audience, see the process through this directed experience. Although the four artists use different approaches and find unique aesthetic styles, combined, they come to present a huge variety of the photographic medium as it is today, including the diverse voices that make the landscape so rich and accessible. 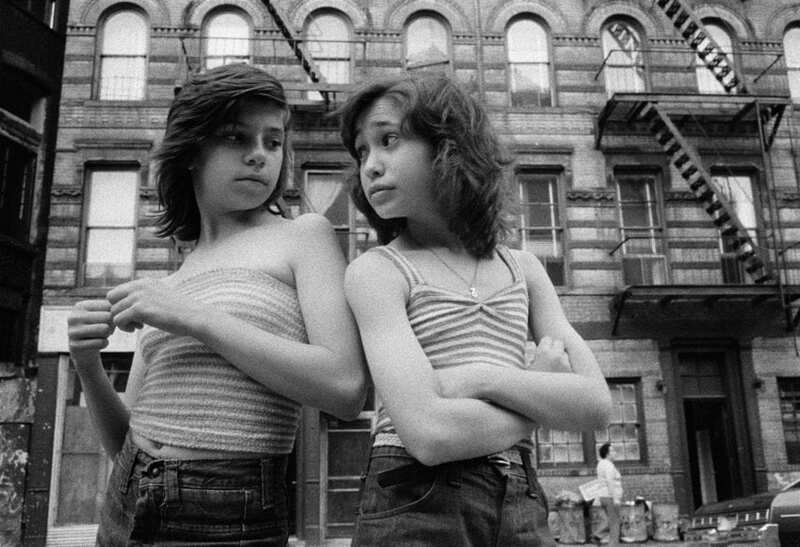 Susan Meiselas, Dee and Lisa, 1976. A: How and why did you select these artists in particular? AD: Each year, we invite around 150 professionals to nominate two projects for the longlist. These series could have been either presented in publication or exhibition format, and should have been in the last 12 months. From this longlist, a jury selects four projects. This year, these esteemed judges included Sunil Gupta, photographer; Diane Dufour, Director of Le Bal, Paris; Felix Hoffman, Chief Curator at C/O Berlin; Anne-Marie Beckmann, Director of Deutsche Borse Photography Foundation; and Brett Rogers, Director of The Photographers’ Gallery. My role is to work with the artists in London and Frankfurt, editing the catalogue to ensure all the works are presented carefully and in a meaningful way – just so that the audience can understand the intention. 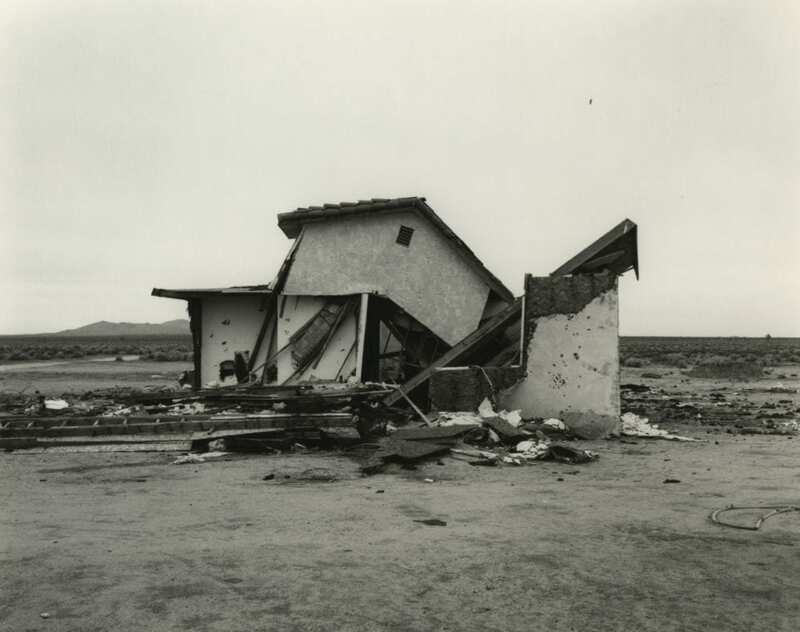 A: Many of the photographers seek to examine how issues such as abortion rights, terrorism, violence and nuclear testing have a lasting geological, universal and personal impact on the landscape and its inhabitants. How do their works, and their nominated exhibitions, look at timeframes, history and the impression of the 21st century experience? AD: The passing of time is a shared theme; Abril gathers archival material and personal testimonies from around the world, showcasing the social and legal attitudes towards abortion rights and how the limited access to free care continues to affect women’s lives. Whilst she is gathering material around one subject matter, Ruwedel addresses the passing of time on a more abstract level. He contrasts the monumental time scales in nature – and more specifically geology – with our human time. The function of archive as a tool to collect history in Meiselas and Messmer’s work – although they approach it from two very different sides. Messmer uses material sources from the state to re-evaluate the history of the Red Army Faction or Baader-Meinhof Group from a contemporary perspective, Meiselas is creating a history of Kurdistan, which, without a state or national archive, would be forgotten. In regards to the 21st century experience, I think that all series question the limits of what the image is and what it can do – how it can function in the contemporary world. Is it trustworthy? Can it be used as a vehicle for contemporary ideas? Can it be used for change, and to what end? It is really excited to see these four artists stretching the imagination and function of the lens. A: Drawing on a diversity of materials and processes, the artists all utilise the camera as a social and political tool. How do they combine form and concept to look beyond aesthetics and visual representation, but into the complex stimuli of contemporary life? AD: All four are interested in the materiality of the photographic output – in collecting, investigating and arranging what is connected to their subject. In Ruwedel’s pieces, he reduces the vividness of the colour of the landscape, focusing attention on the black and white, timeless shapes and forms of abandoned locations. He shapes the images that seek to condense the essence of the USA. Meanwhile, Abril’s works are often innocent at first glance, only to reveal their gut-wrenching devastation upon reading the captions. Steaming tubs become methods of terminating unwanted pregnancies when there is no other way available. Confessional boxed and religious apparatus become symbols of direct oppression. All the practitioners are acutely aware of how to arrange visuals to address complex issues without panic or fear, but with creativity, thoughtfulness and compassion. Mark Ruwedel, Antelope Valley. Courtesy of TPG. A: As a barometer for innovation, the prize seeks to honour considerable contributions to European photography. How have some of the nominees experimented with the boundaries of image-making – using interdisciplinary or experimental methods? AD: Photography is continuously changing. Meiselas has used more traditional reportage for Kurdistan, but has also collected images from communities to be presented in installations, including films and projections. Messmer reflects upon the status of the image and how they are able to represent facts. Both question the boundaries of pictures, but also what they can represent, using the image itself to “answer” questions. Abril often shows birthing chairs and other medical / herbal substances in her shows, as well as videoclips, audio tracks, drawings and non-photographic objects. Ruwedel collects hundreds of images in his trails, revisiting locations again and again. The circling movements have become integral to his practice. A: How will the show be curated in terms of presenting the works and their topical narratives? AD: The selections are presented across two floors of the building. Each room will feel very different. I am, of course, putting much thought into combining the images, designing each installation together with the artists’ input. I hope that, upon entering, viewers will question what photography looks like right now, something that will be answered when they leave. 1. All images courtesy of The Photographers’ Gallery. Four artists reconfigure and manipulate the conventional idea of photography using strange new processes and transforming traditional methods in a new group show at Vitrine, London. Derek Jarman is one of Britain’s most important and ground-breaking artists of the late 20th century. The Jarman Award celebrates some of the most innovative filmmaking in the UK today. The 10 shortlisted practitioners all demonstrate a spirit of experimentation and inspiration. Indifferent Matter: From Object to Sculpture at the Henry Moore Institute in Leeds comprises works key artists by Felix Gonzalez-Torres, Robert Smithson, Hans Haacke and Andy Warhol.